Wrightstyle is one of Europe’s leading suppliers of advanced steel and aluminium glazing systems, supplying fire and blast resistant systems worldwide. Wrightstyle MD Tim Kempster takes a look at fire safety in the supertall buildings now being built. The skyscraper is just about to get a whole lot bigger, with a whole lot more of them around. The Shard in London is currently the tallest building in both the UK and Europe, topping out at 310m with 87 storeys. It has 11,000 panes of glass and a total surface area of 56,000m². While the Shard is the tallest building in Europe, it will be dwarfed by the Kingdom Tower in Jeddah, Saudi Arabia, which is the first habitable building to pass the 1km mark. The £780 million Kingdom Tower, will take five years to construct, have 200 storeys and require approximately 500,000m³ of concrete and 80,000t of steel. It will be three times higher than the Shard and 173m taller than Dubai’s Burj Khalifa, currently the world’s tallest building with 160 storeys. But it is China that is setting the pace, with a number of ultra high-rise developments, including China’s tallest building, the 632m Shanghai Tower, which is due for completion shortly. Another is Sky City in Changsha, which will be 838m tall, again higher than the Burj Khalifa and the developers want to complete construction in ten months. The new 541m One World Trade Center, the building that replaced the Twin Towers, is the only US skyscraper in the Top Ten tallest buildings in the world, but not for long as other countries build further into the sky. But it is not just China and the Middle East that are leading the upward march. According to New London Architecture, approximately 236 buildings in London of more than 20 storeys are planned or under construction. They will mostly be for residential use, although others will be hotels, offices, mixed use and an educational institute. Nearly half of those towers have planning permission and 19% are already being built. 33 of them will have between 40 and 49 storeys and 22 will have more than 50. In London, with high land prices, the logic of building upwards is inescapable and creating high-rise residential blocks will help to alleviate the city’s chronic housing shortage, if design lessons from the past can be learned. Glasgow’s Red Road flats are a case in point. When they were built in the early 1960s, they were Europe’s highest residential blocks but now, they have all been scheduled for demolition. The steel-framed buildings were fire-proofed with asbestos, which blighted the flats for years. But the biggest lesson came over 100 years ago from the Triangle Shirtwaist Factory in New York, when a catastrophic fire killed 146 garment workers in 1911 and led to new legislation on fire safety in tall buildings. Leaving aside 9/11, the worst recorded tall building fire was in Sao Paulo, Brazil in a 1974 blaze that killed 179. At Wrightstyle, we have worked on a number of high-rise developments in the UK and internationally, building in fire safety and high wind-loading attributes, particularly in the Far East, a typhoon zone. We have also publicly raised concerns about how fire regulations were being applied across parts of the Middle East, and changed our certification processes, so that a fire certification on one of our glazing systems could not be unilaterally applied on another project. But we remain concerned that in the rush to build faster and higher, issues of fire safety in some countries may not be adequately addressed or, just as bad, components in that building may not have proper fire-safety characteristics. 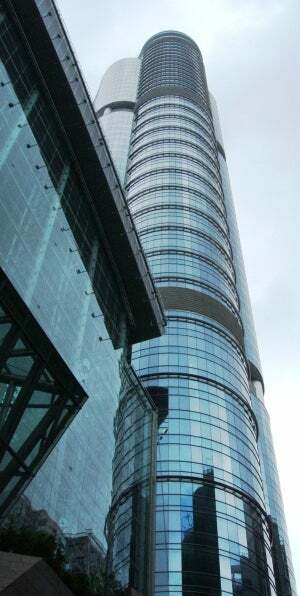 For example, in Grozny, Russia last year, fire destroyed the tallest skyscraper in the North Caucus region, a 145m tall structure with 40 storeys. Within two hours, fire had engulfed three sides of the building, with fire spreading so quickly because it reported that combustible building materials were used in its construction. In the new generation of super-buildings, fire safety takes on a whole new dimension, because beyond sprinkler systems, how do you tackle a fire a kilometre up in the sky? The answer is: with great difficulty, and there have been several notable cases where a sprinkler system has made things worse, with cold water coming into contact with non-fire rated glass and causing the glass to break and allowing more oxygen to reach the seat of the fire. The most effective way of dealing with fire at high altitude is by fire compartmentation; keeping the fire contained in one protected area and preventing it from spreading. A rule of thumb for fire safety in supertall buildings is that any fire should be able to burn itself out, without external intervention and building collapse. That allows for a limited evacuation of people on the affected floor and on floors immediately above and below the fire. Everyone else should be ‘defended in place’; a realistic strategy when you might have elderly or disabled occupants stranded 200 storeys up. Wrightstyle’s high-performance systems not only have up to two hours of insulation and integrity, they have been tested to the US’s more stringent fire test regime, including the hose stream test, where the glass and framing assembly is subjected to a stream of cold water, to simulate a sprinkler system or subsequent fire fighter response. Research demonstrates that a combination of a sprinkler system and non-fire rated glass is not a good safety solution. An ‘active’ sprinkler system needs good maintenance and activation sequences to work properly, whereas ‘passive’ fire-rated glazing systems are guaranteed to work, if the right systems have been specified. Sprinkler systems can also be compromised by low water pressure, a particular consideration in very high buildings, and PVC water supply pipes can be damaged by fire and rendered inoperable.